Tech2tech videos - to operate a vehicle on a lift or vehicle dynamometer, you may need to disable the vsa. 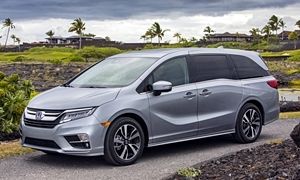 for 2018 odyssey, the front brake caliper bolts must be replaced after removing them. Tech2tech videos - for 2018 odyssey, the front brake caliper bolts must be replaced after removing them. Tech line summary article - if you get a vehicle with error code 9003 unable to update on the display audio, it means there?s a problem doing an over-the-air (ota) update. we?re aware of this issue, and we?re looking for a solution. Service bulletin - the navigation application may slow down when extensive cumulative driving (such as parking lots, gated communities, private roads) is done. map scrolling and search operation may be delayed or appear not to work. Customer letter - on your 2018 odyssey, the rear window switch has an internal issue, which may make the window switch inoperable. Service bulletin - the audio unit displays check tuner when in the sxm mode or radio unavailable displays in am/fm mode. the remote tuner unit has a software problem. Service bulletin - under certain conditions, the rear window switch internal software enters an unstable condition and cannot recover, making the window switch inoperable. Service bulletin - this service bulletin provides additional information for the ?sliding door position adjustment? procedure in the service information. 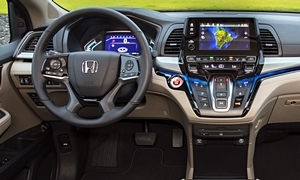 Dealer message - american honda (ahm) has discovered certain 2018 odysseys with a possible door lock cable routing and/or a res display concerns. ahm requests that you inspect and repair these vehicles prior to sale.